That is an EXCELLENT, crafty way to tie the two occasions together! What a great way to tie both together. Luv it! Oh, I so need to remember this! I was really uncertain how to reconcile Good Friday with Earth Day so I ended up ignoring Earth Day-- this is great idea! What a sweet blog you have! 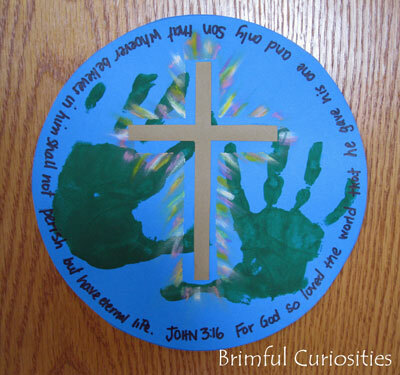 I love doing art that helps children understand about God and Christ. Beautiful. Great way to combine the two! What a neat craft to tie the two together! I love this craft. Especially timely for this time of year but good message year round!